Hi friends, nowadays, people love more healthy breakfast recipes than other recipes. 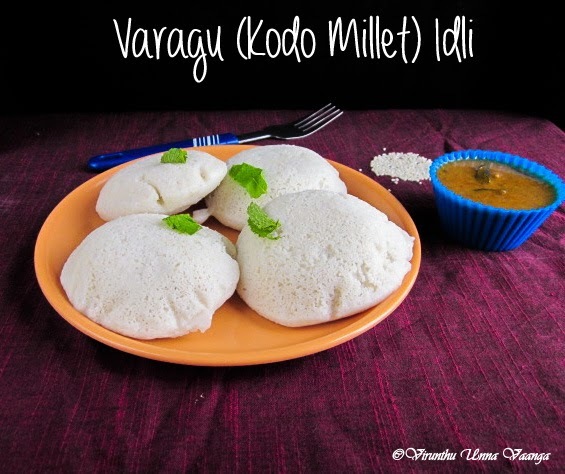 Breakfast should be more healthy and energetic to start our day, so here is the recipe for kodo millet/varagu idli. 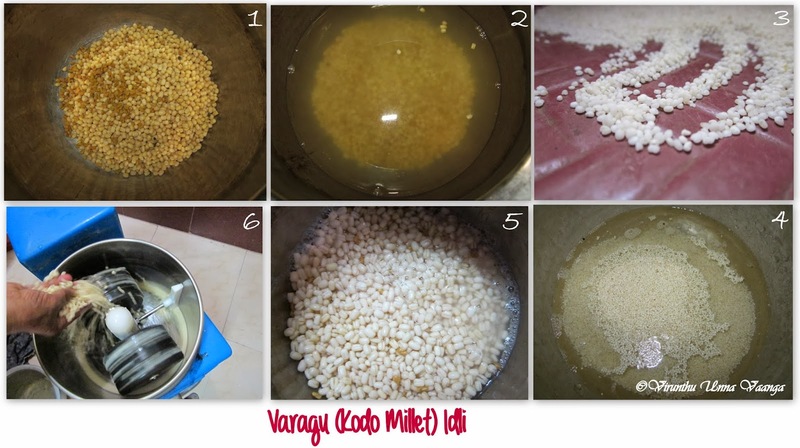 Millets are super healthy and very delicious too. We used to include more millet to our diet more than rice varieties. I have already posted varagu/kodo millet payasam, thinai/foxtail millet payasam. Varagu is very healthy, especially for diabetic people. 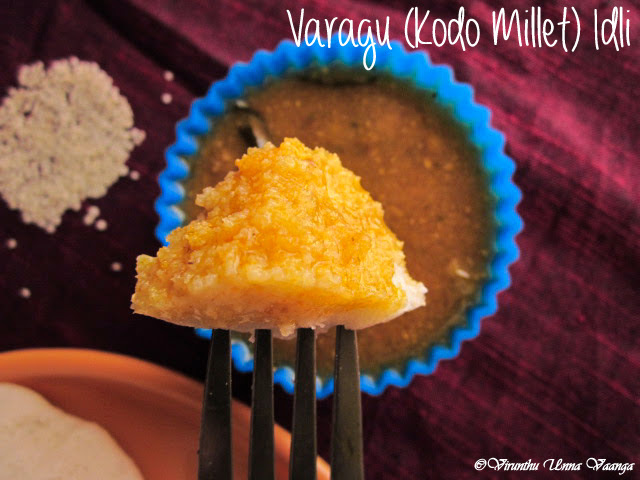 The varagu idli was very soft and spongy and it suits with all the chutneys and sambhar even kurma too. 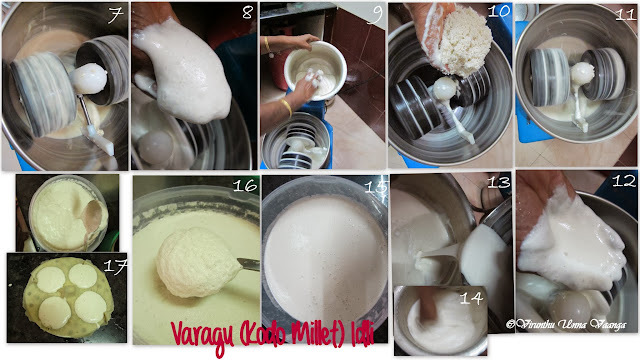 You can grind the batter only with varagu/kodo millet and urad dal with little amount of fenugreek, and grind it as like our normal idli batter. Wash and soak the urad dal and fenugreek together for 2-3 hours and soak varagu separately for one hour. Then transfer into the vessel, and then add drained varagu/kodo millet to the grinder. Then keep it in refrigeration for further use. Don’t grind the varagu and urad dal together, because it will not give soft and spongy idlies. 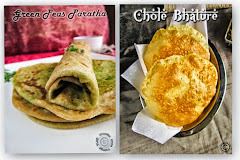 You can make very thin dosa with the batter. 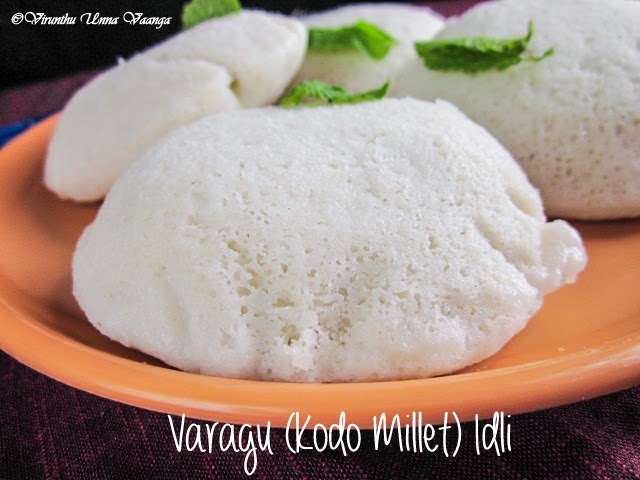 You can replace the varagu with thinai/foxtail or Samai/little millet to make thinai idli/dosa, samai idli/dosa respectively. 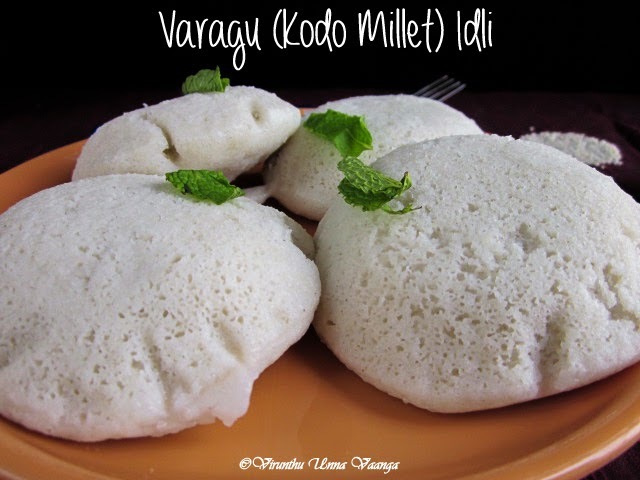 Soft and Spongy Varagu/Kodo millet Idli!!! 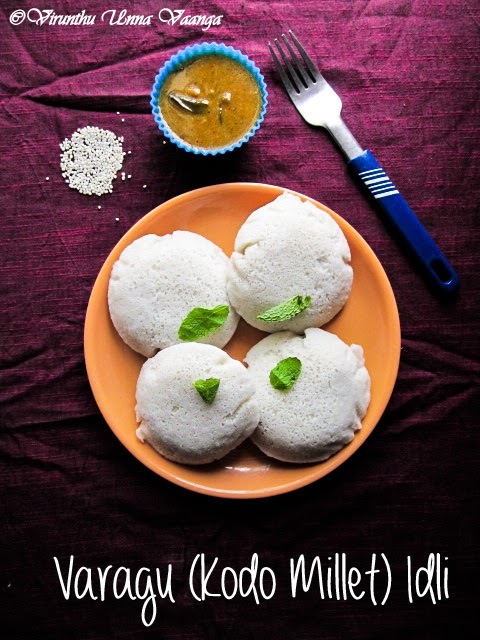 Absolutely perfect and healthy idlis. Lovely presentation dear. Just wanted to tell you that I tried your varagu millet idly...same direction as mentioned by you. But for some reason mine turned out romba sticky...should urad & fenugrek also soak onlyfor 1 hr like the millet? Hi Anonymous, Millet is kodo/Varagu only. 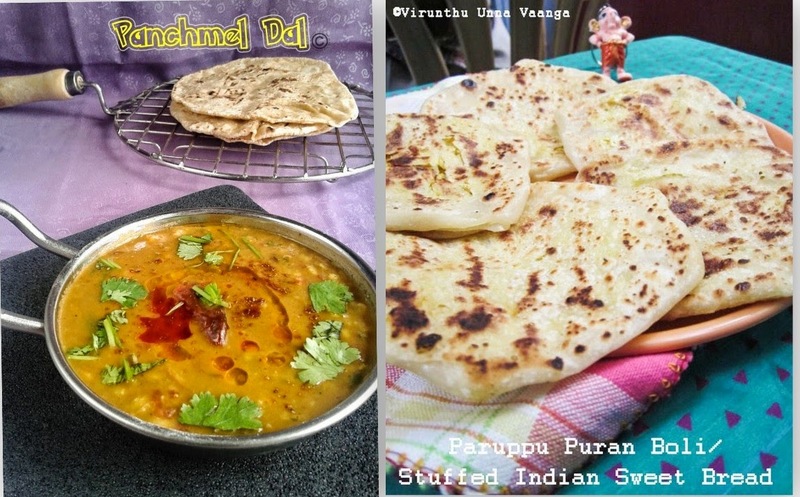 Do you using high grade urad dal? soaking time may be differ with what type of the urad dal we use. I will mentioned the soaking time too... 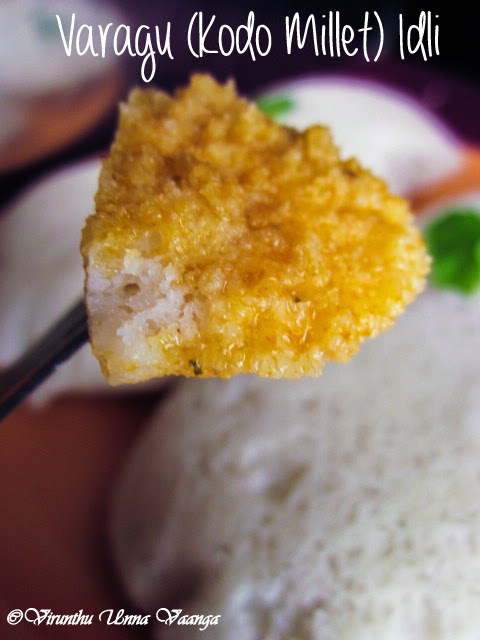 But the method is the same and make idlies with cloth as we do in traditional method will gives soft idli... While we grinding the urad dal mixture it should be in fluffy consistency. So that we can get soft texture. 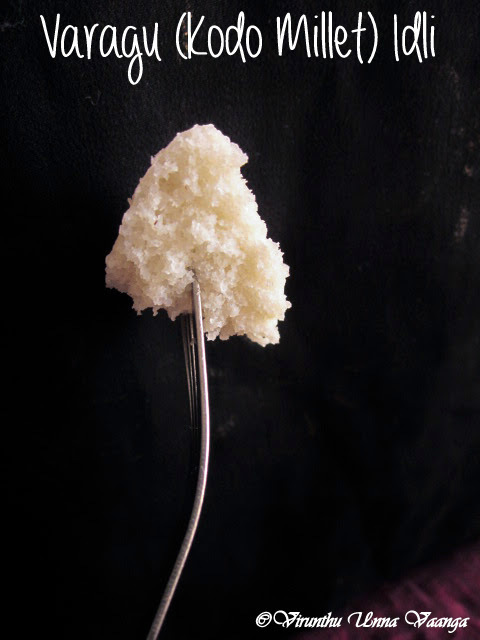 If the fermentation is not enough or the batter is not in regular consistency it may sticky. Thank you for your prompt reply. I am not going to give up trying this method for sure ;-). I did not use high grade urud dal,,,,i just used the one i had in my fridge...but allowed it to get to room temperature. Would it be mentioned as high grade on the packet of urud dal? What I am going to do is to get a fresh batch (urud dal) & millet from the grocery store....& going to try your method again...soaking urud dal a little longer than mentioned....will keep you posted.........I sincerely thank you for your prompt reply viji....will surely try & give you the feed back soon.....till then good luck & continue posting such healthy versions of our cooking methods....:-)....thanks once again!